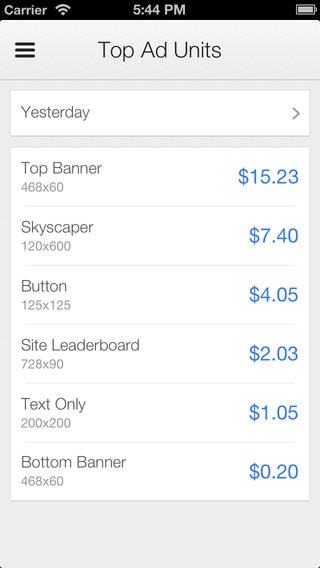 Google has released Google Adsense Apps for iPhone and Android phones to quickly access stats of daily earning/payment info. Ever since the mobile platform has gain popularity, Google strives to provide their products & services direct for access from any mobile platform. Popular Google services like Google Maps, Drive, Google Keep, Analytics are now available direct for access from your phone/tablet itself. Launching Google AdSense app for Android phones/tablets, the Big G is proud to announce same app for owners of an iPhone, iPad or iPod touch. 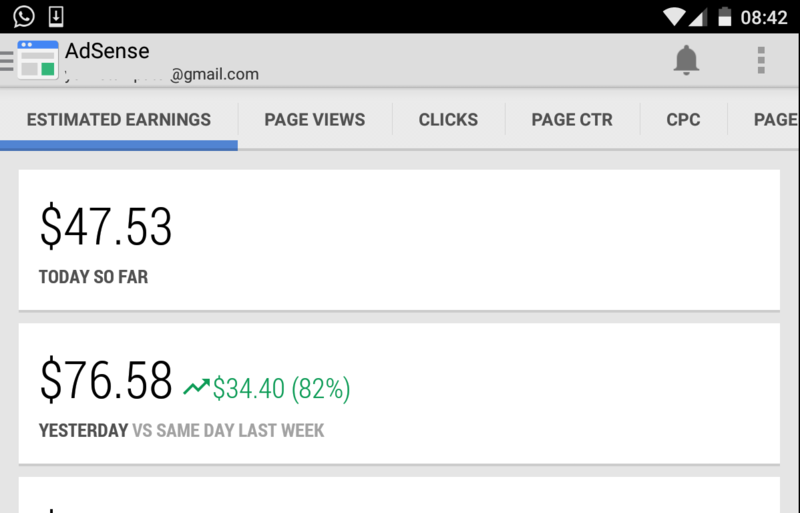 It’s quite necessary for AdSense publishers to understand the daily earning stats, earning, payment and other AdSense info. With Apple being the second largest smartphone vendor, the service isn’t complete until it’s available on iOS devices. The happiness just ends there as you can only access daily, yesterday, weekly, monthly & total earning stats. You can’t actually do other stuff but definitely better than no app at all and we hope to see other features available in upcoming app version updates. 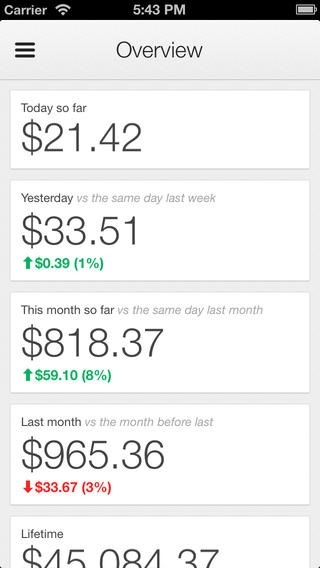 So if you are an AdSense publisher and would like to check out daily stats then download the app right now directly from the iTunes App Store. Despite a dozen of services, Google Adwords and Adsense remains two major sources of earning for Google. The Adsense app for iOS/Android was much anticipated by many interested publishers and it’s finally good to see its debut but it’s not right now available for BBM or Windows Phones. It's a nice way to check your daily earning on the go, right on your mobile.